The arch hasn’t change since I drove under it as a child. I want you to notice that, “Water” is the first word of the slogan. Without water, the town wouldn’t be possible. If you want to understand the history of California, you need to learn how water resources were developed to transform dry grasslands to tomato fields or almond orchards. “Developing water resources,” is really a euphemism for “find water somewhere else and pipe it here.” Modesto’s water resources come from two main rivers, the Tuolumne and the Stanislaus which both flow out of the Sierra Nevada mountains with the wealth of water provided by melting spring snows. The rivers were dammed to provide hydroelectric power and to provide water year round. An extensive system of canals was built to reroute the water from the rivers and dams for the farms and city. This is the story of just about every city in the state. San Francisco wouldn’t be possible if it wasn’t for the damming of the Hetch Hetchy Valley and the 167 mile system of pipes and tunnels bringing the water to the city. California gets most of its rain during a few winter months and in order to have water during the long hot summers residents rely on water stored in reservoirs or tap underground aquifers – all filled with the little rain that falls and the normally plentiful snowfall in the Sierra. That system has allowed my city of San Jose to grow from few thousand people in the 1880s to over a million today. But the seemly abundant water, isn’t and each year we have to stretch the same amount of rainfall over an ever-increasing population. Well, actually less rainfall in the last three years. A lot less. The Modesto Irrigation District reports that average rainfall is about 12 inches year. In the last 10 years only 5 years have been at or over average. The other five years have been anywhere from 2 inches to 5 inches short of average, with the last three being the worst. Compounding the shortage was last year’s lack of snow in the Sierra. Our water system is based on averages – surplus water on above averages year is stored in reservoirs for use in drier years. The whole system is tuned to allow for three years of water storage. The reservoirs are near empty. There are already small cities and water districts that have run out of water. Some state and federal water projects have stopped delivering water to the farmers. If we don’t get an average rain fall and a normal snow pack, things will be worse – far worse as the little remaining water behind the dams dry up. It’s a bleak picture. The long-range forecasts aren’t that encouraging and it’s possible we could enter a fourth year of drought. I hate to catalog the problems we’ll face as none of them are pleasant to think about. Still there is some hope we’ll get normal rain this year, and the problem water officials will have is explaining why a normal amount of rain won’t solve the water problems in the region. Issues of population growth alone force us to rethink water policy and will force planners and soon, folks like me to change how we use water resources. When my family arrived in California in the early 20th century, the state looked like it had unlimited resources of land, minerals, lumber and the water problem was quickly solved. However, nothing is infinite and there are limits to the amount of gold in the mountains, the number of acres of land and the inches of rain that fall. As we ever increase the number of people living in this land of riches, each person will have an ever smaller share of the resources the earth can provide. Thinking about it too much paints a very pessimistic view of our future and increases our fear of a collapse of civilization. But, in the midst of mounting despair there are signs of hope. I’ve been thinking a lot about what can be done and have been hitting “google” a bunch. Along the way, I’ve found a few interesting things that can be done – both by cities and individuals. I’ll share those next time. 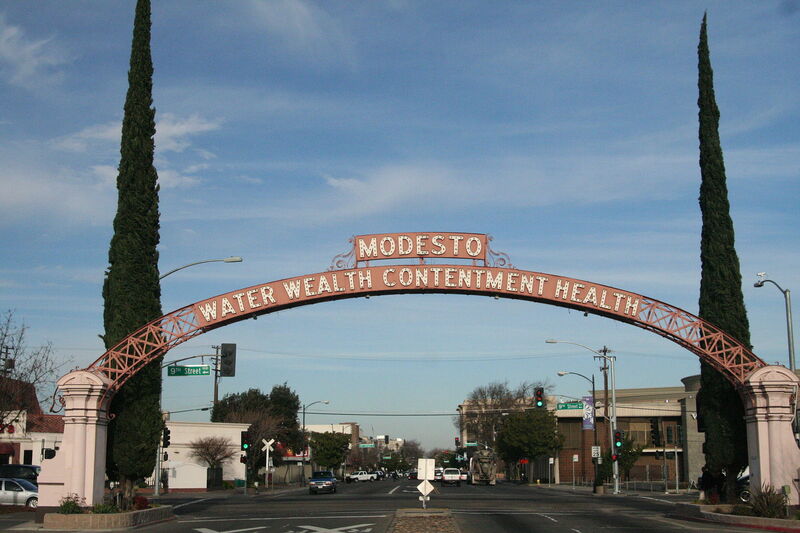 This entry was posted in General and tagged California, california drought, drought, Modesto, San Jose, water resources. Bookmark the permalink.